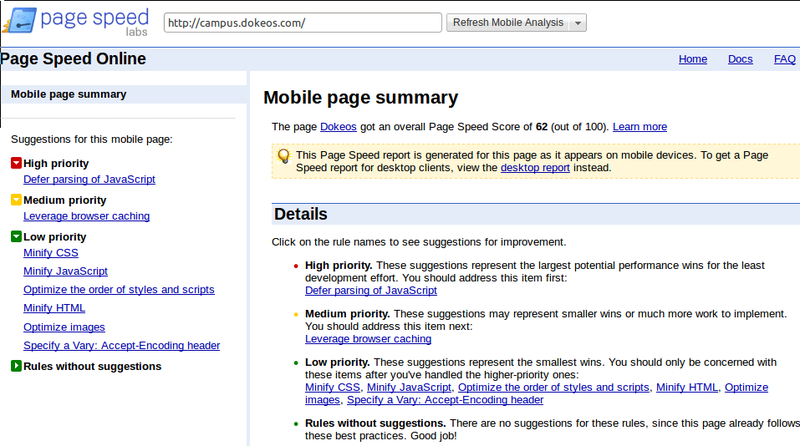 The Page Speed Score indicates how much faster a page could be. A high score indicates little room for improvement, while a lower score indicates more room for improvement. 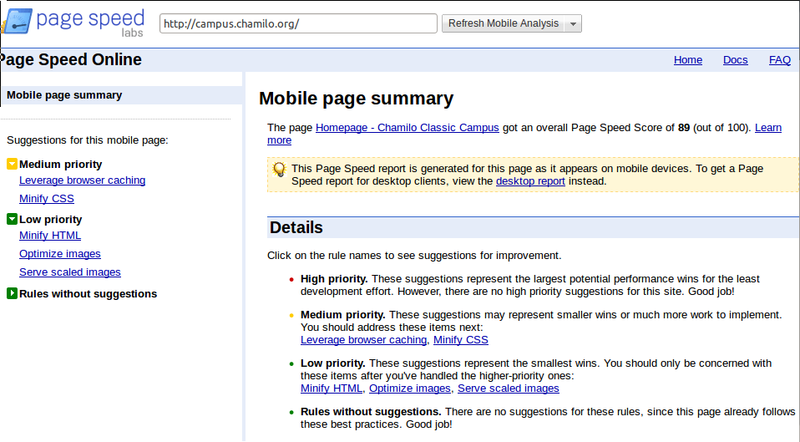 The Page Speed Score does not measure the time it takes for a page to load. This entry was posted in Tecnologia and tagged chamilo, chamilo is faster, chamilo vs dokeos, Dokeos, performance. Bookmark the permalink. Hello, I'm Julio Montoya. I'm currently the Lead Latino developer at Chamilo I used to work also in Dokeos. I have many ninja skills in PHP, MySQL, and all that LAMP stuff. Write me an email for further information.